Take control over you weight with gastric sleeve in Mexico. Our packages for vertical sleeve in Tijuana, Cancun, Puerto Vallarta and other Mexican cities are tailored to help you have a fulfilling experience south of the border. You may check out some gastric sleeve reviews from Mexico to gain a more positive grasp of this surgery. The surgery involves removing three quarters of the stomach. The result is reduced intake of food which leads to weight loss. The surgery also leads to resolution of a number of co-morbidities of obesity (refer to Figure 1/ may also refer to the following table). Gastric sleeve results in dramatic improvements in insulin resistance. In fact improvements can be seen right from day 1, post-op. According to a January 2016 study by Joumana et al. weight loss surgeries present better results in terms of insulin resistance and glycemic control. As per the study, a patient with a long history of morbid obesity, diabetes, high blood pressure, excess resistance to insulin and sleep apnea underwent bariatric sleeve surgery and did not need any insulin therapy the first day after surgery. Consequently, his Homeostasis Model Assessment of insulin resistance (HOMA-IR) showed a 76% improvement from the first day to two weeks after the surgery. As the above chart indicates, vertical sleeve surgery, south of the US border may be a good option for individuals looking for lower costs. Looking for surgery under $4,000? Now pay only $3,995. A brand new facility with modern equipment and amenities. 90% of the patients are related to weight loss surgery. Hospital staff is trained and very experienced in dealing with bariatric patients. 24* 7 doctor at location. A full-service hospital with a newly constructed section specially meant for obesity surgery patients. It is located in a busy part of the town, and is very close to the border in San Ysidro, CA, USA. We have helped hundreds of people say goodbye to obesity with bariatric surgery. One of our clients Crystal Malone from North Carolina reviews sleeve in Tijuana. “My overall experience was great – including Regene, Veronica & Ricardo. The staff was more than accommodating. I appreciate everything. I want to thank them all, especially Veronica for bringing my guest food and definitely making us comfortable. Check out another testimonial in which Dan Ryan from Albuquerque, USA talks about his experience with us. 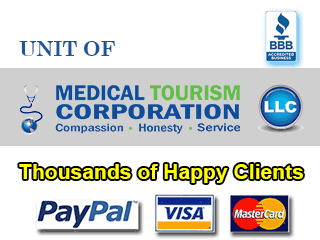 Why Tijuana, MX for Self-Pay Sleeve Surgery? According to researchers from Cleveland Clinic, vertical sleeve surgery overtook laparoscopic gastric bypass to become the most common bariatric procedure in America. The findings of the study were presented at the combined annual meetings of the American Society for Metabolic and Bariatric Surgery (ASMBS) and The Obesity Society (TOS) at ObesityWeek 2015. As per the study, while sleeve gastrectomy accounted for just 9.3% of the total procedures in 2010, it shot to 49% by 2013. By, 2014 gastric sleeve made up 51.7% of the total bariatric surgeries performed. Weight loss success does not end with sleeve gastrectomy. Patients are required to strictly follow a well-formulated diet plan prescribed by their doctors in order to achieve the ideal body weight. Every patient must know both the pros and cons of sleeve gastrectomy. Though research and good decision-making may help ensure that the advantages outweigh the risks, it’s still better to be aware of the hidden costs before moving forward. Make sure to research well about the reputation and expertise of the short-listed hospitals and bariatric surgeons. To do something about your excessive weight is the first step towards a healthier, longer, and happier life. Thanks to affordable laparoscopic gastric sleeve in Mexico, you can do this without worrying about jeopardizing your financial security. Body mass index (BMI) of at least 30. Type 2 diabetes, cardiovascular disease, hypertension, sleep apnea, or other co-morbidities. Absence of any systemic diseases that may complicate the surgery. Willingness to commit to a healthy lifestyle. Bariatric surgery is a serious medical procedure and not an easy alternative to diet and exercise. In fact, the surgery requires a serious commitment to adhere to your doctor’s recommendations for a healthy lifestyle. A high number of obese Americans choose to undergo vertical sleeve gastrectomy in Mexico every year due to greater ease of travel and the much lower medical bills. Over 34.9% (78.6 million) American adults are obese. Obesity is the highest among Americans aged 40-59 (39.5%), while it affects over 35.4% adults aged 60 and over. Estimated obesity-related medical bills were a staggering $147 billion in 2008. Obese individuals are at a higher risk of developing serious health complications, such as adverse lipid concentrations, hypertension, and type 2 diabetes mellitus. Deciding to go to Mexico for sleeve gastrectomy is a big decision, which may change your life forever. So check out all the details of the procedure, and gear up for a memorable medical trip. Weight-loss surgery has the potential to liberate you from the burden of extra body fat, alleviate health conditions, and boost self-esteem. For more information and the latest prices, fill-out the price-estimate request form on the right. Golomb I, Ben David M, Glass A, Kolitz T, Keidar A. Long-term Metabolic Effects of Laparoscopic Sleeve Gastrectomy. JAMA Surg. 2015;150(11):1051-1057. doi:10.1001/jamasurg.2015.2202. Sarkhosh K, Birch DW, Shi X et al. The impact of sleeve gastrectomy on hypertension: a systematic review. Obes Surg. 2012;22(5):832–7. Sharma R, Hassan C, Chaiban JT. Severe Insulin Resistance Improves Immediately After Sleeve Gastrectomy. Journal of Investigative Medicine High Impact Case Reports. 2016;4(1):2324709615625309. doi:10.1177/2324709615625309. Sleeve Gastrectomy Surges to Nearly Half of All Weight-Loss Surgeries in America, New Study Finds. Connect – the official news magazine of ASMBS. December 2015-January 2016 issue.